Hold the chair with both hands. 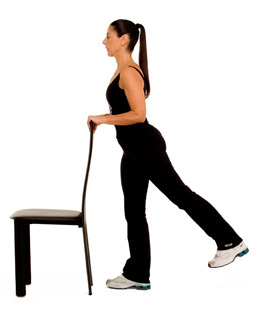 Slowly lift one leg back to 45 degrees, knee straight. Resume the initial position. Repeat 10-20 times with each leg.